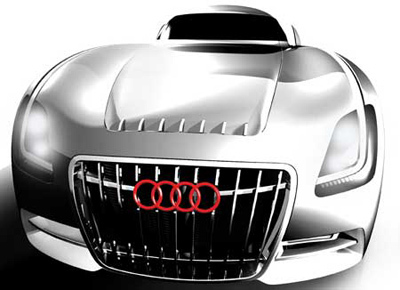 The Audi Nero concept car was designed for the 2006 Los Angeles Auto Show. The Audi Nero is part of a design challenge sponsored by the LA auto show. The challenge invited designers from 10 of the top design studios to come up with future transport concepts for 10, 20 and 30 years into the future. 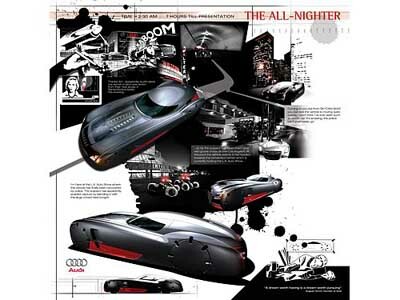 Audi's Nero concept is meant as the ultimate vehicle to go nightclubbing in. The Nero's sinister lines and elongated dimensions make for a batmobile-esq appearance, no doubt impressive in the flesh.